Our flagship shop, complete with eight chairs. Our smaller, two-chair location at the back of Frank and Oak on Queen West. 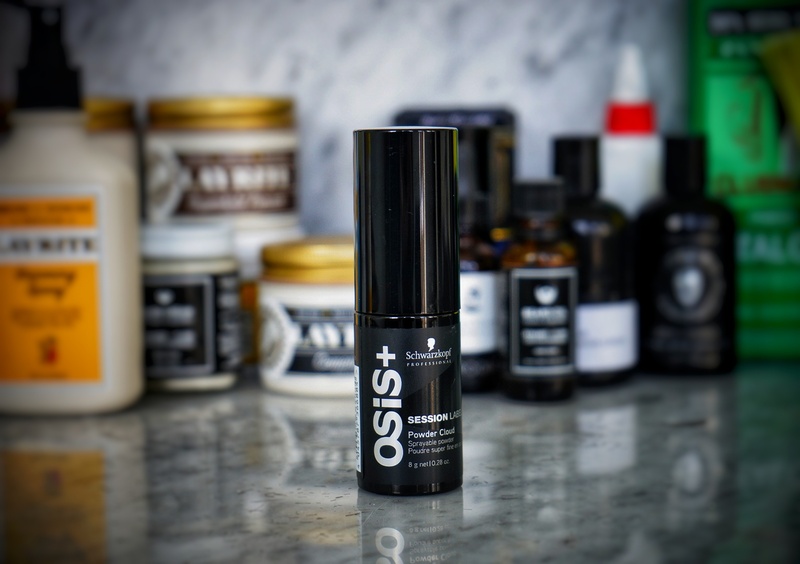 We've got a new product, people — a tiny black tube that, once sprayed, leaves a matte finish and a flexible hold you can barely feel, all thanks to a special powder. 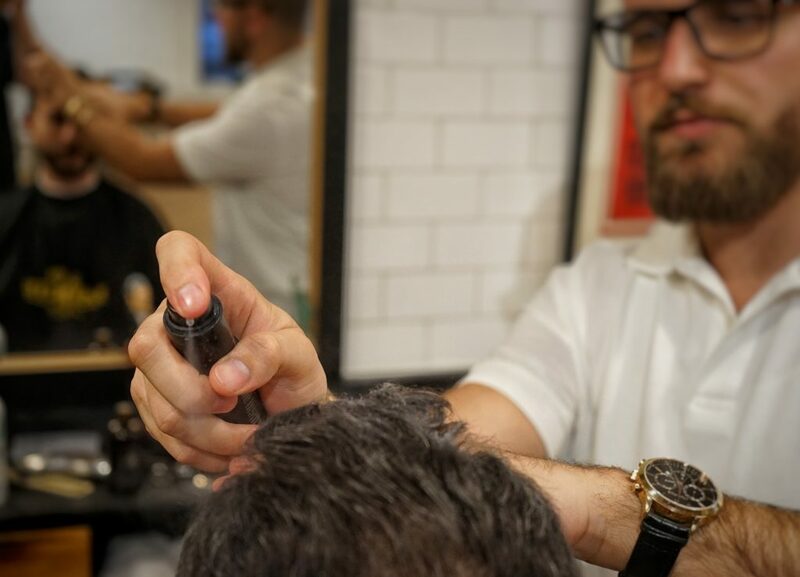 Here, two of our barbers talk proper application and why they pushed us to stock it. No, this isn’t the kind of product you’d find at your typical barbershop. Some cop’s medicine cabinet in an axed Blade Runner scene, maybe, but not your average shop. 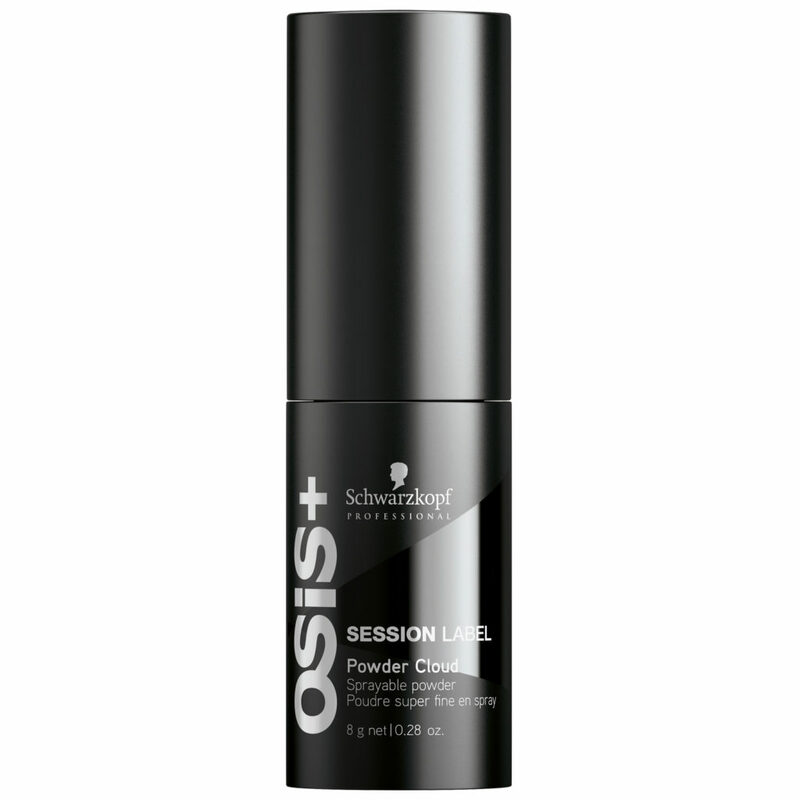 Seeing as we’ve never endeavoured to be such, that’s partly what sold us on OSiS’ Powder Cloud — released by hair product heavyweights, Schwarzkopf, early last year. The other part was our shop manager and product expert, Jared Quast. Adam Palmer on how a love of music has influenced his style and a career creating the Industries biggest videos. Its time to man up and get a cut that shows you are ready for the real world! Ever wondered what a “number two” or a “taper” meant? Here, a few key terms you should know to get just the cut you want. For short cuts, where the sides and back meet seamlessly with the top. Starts as quite short at the base of the neck, then gradually lengthens while going upward to the temple. Refers to the clipper grade, or how short you want the barber to go. The lower the number, the more cropped the cut (ours go from four to zero). Another way of saying “just a trim.” Bear in mind that said trim will be relative to the rest of your hair’s length. Applies to shorter cuts. A technique used to leave the top of the hair thicker and more layered, rather than flat and thinned out. This is the back of your neck, and the hairline there should always be kept tidy, whether that means a defined hairline or natural fade. Also known as bangs, this is that bit of lengthy hair that grows over the forehead, effectively covering it. Fringes are usually swept to one side. A technique in which a barber cuts hair such that it appears more voluminous, and layered (hence the term). Our barbers do this by employing impeccable work with their scissors. The space behind your ears where your hairline forms an upward curve. This part should be kept as natural as possible — not too high, not too low. 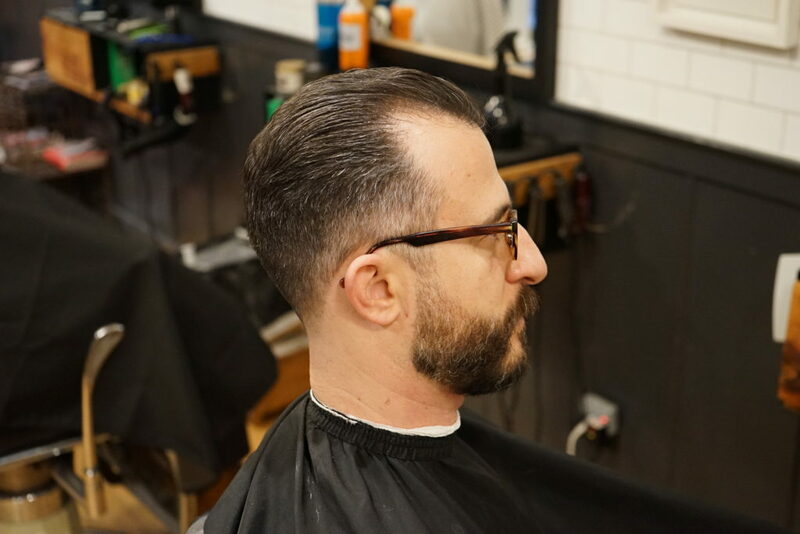 A taper leaves no visible hair lines at the nape, only a gradual fade that goes from cropped at the top to barely visible at the bottom of your nape. “Choppy” refers to a desired texture, which, when achieved, resembles a nonchalant, messy look. Your crown is at the top of your head and near the back, where your hair growth starts out as a slight swirl. © . Garrison’s Barbershop and Garrison’s by the park Barbershop are trademarks of Garrisons Inc.